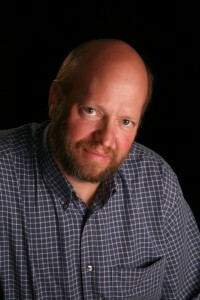 Professor of Physics Chuck Niederriter was the lead author on the $155,000 grant. Niederriter is also the director of the College's annual Nobel Conference. Gustavus Adolphus College recently received a three-year $155,000 curriculum development grant from the National Science Foundation (NSF), entitled “Integrating Sustainability Across and Within the Science Curriculum.” While this initiative involves a wide range of faculty, core project faculty include Chuck Niederriter (lead author, Physics), Colleen Jacks (Biology), and Jeff Jeremiason (Chemistry, Environmental Studies). “Given students’ increasing interest in energy, sustainability, and the environment, this curriculum initiative will play a strategic role in both responding to that interest and preparing students for a world in which such matters will only become more prominent,” said Niederriter. The award will enable the faculty members involved and others to develop interdisciplinary laboratory experiences related to sustainability. Niederriter and the co-authors of the grant intend to impact three different audiences on campus, including first-year and non-science students, science students in introductory and intermediate level courses, and junior and senior level students majoring in the sciences. “The goal of the project is to provide interdisciplinary teaching and learning throughout all four years of a student’s college years and, in doing so, to have a pervasive impact on students’ understanding of sustainability and the environment,” said Niederriter. The NSF is an independent federal agency created by Congress in 1950 “to promote the progress of science; to advance the national health, prosperity, and welfare; and to secure the national defense.” With an annual budget of about $6.06 billion, it is the funding source for approximately 20 percent of all federally supported basic research conducted by America’s colleges and universities.